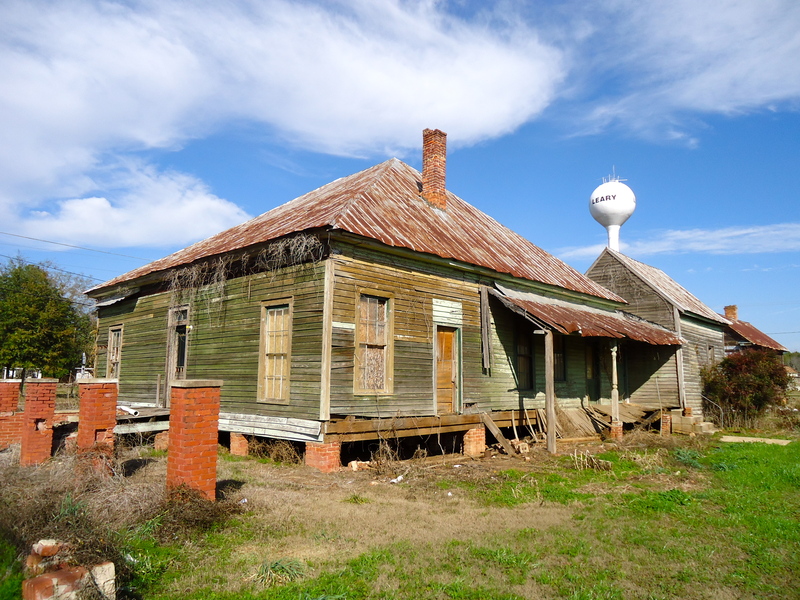 This entry was posted in Leary and tagged Abandoned House, Calhoun County, Cultural Feature, Incorporated Town, Leary. Bookmark the permalink. This house once belonged to Reuben Marshall Jordan and his wife Mary Pamelia “McLauchlin” Jordan, my great-gradparents. My mother was born in this house. The downtown strip behind it was a general store built, owned and operated by Reuben, a post office and bank built, owned and operated by one of his sons, Harvey. There was a drug store in the next block and a doctor’s office somewhere along there. Thanks so much for the info! It’s so good hearing the stories behind these places.